I felt her forehead. No fever. I was faced with the all-too-common parenting dilemma: was she sick enough to stay home? Was it the flu or just a cold? I wish I had a maternal instinct that could reliably tell me just how sick my kid really is. But the truth is, even doctors often can’t tell the difference between a cold and the flu, especially in the early stages. “The bottom line is, it just doesn’t matter,” according to Dr. Gregory Germaine, Associate Chair of Children’s Services at Yale-New Haven Children’s Hospital. “Influenza can be totally asymptomatic in some kids, and in others the flu causes mild cold symptoms and passes like a simple head cold.” At the same time, the flu is far from benign — it kills around 35,000 Americans every year. What’s more, the “simple” cold isn’t always so simple — it can require hospitalization for young infants or immuno-compromised children. True, it’s possible to test and find out what viral or bacterial strain is causing that runny nose, but most of the time, it’s not necessary. Most doctors only test if an illness is serious, to make sure there isn’t a secondary infection or other condition. “Testing is done enough that we have a general idea of what pathogens are hitting the are at any particular time,” says Germaine. Flu and rhinovirus (the “common cold”) are the most common culprits, but it could also be adenovirus, RSV (respiratory syncytial virus) or HMV (human metapneumovirus). What symptoms will you be treating? 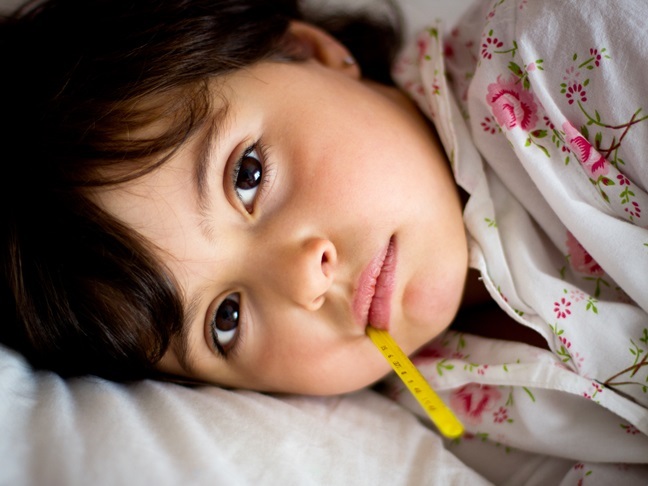 Whether your child has a cold or the flu, the list of possible symptoms is identical: runny nose, sore throat, cough, body aches, headache, fever, stomach upset, and fatigue. The only difference between cold and flu is severity: on average, worse symptoms are caused by the flu, and with the flu, complications are much more likely. The bottom line? It’s okay not to know. If you’re worried, any kind of virus can warrant a call to the doctor. But as long as your child seems to be handling it well and not developing complications, both a cold and the flu just call for a week of ibuprofen, bed rest, and chicken soup. 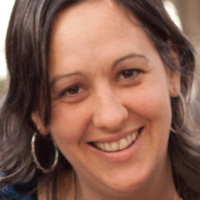 Lisa C. Baker is a full-time mom and part-time freelance writer in Atlanta, Georgia. She writes about parenting, health, and lifestyle for various publications and businesses. She spends a lot of time walking to the playground and writing at coffee shops. In her non-existent spare time, she blogs about How to Be Supermom.